Sisterhood activities are always the best way to bond and feel connected to your chapter. 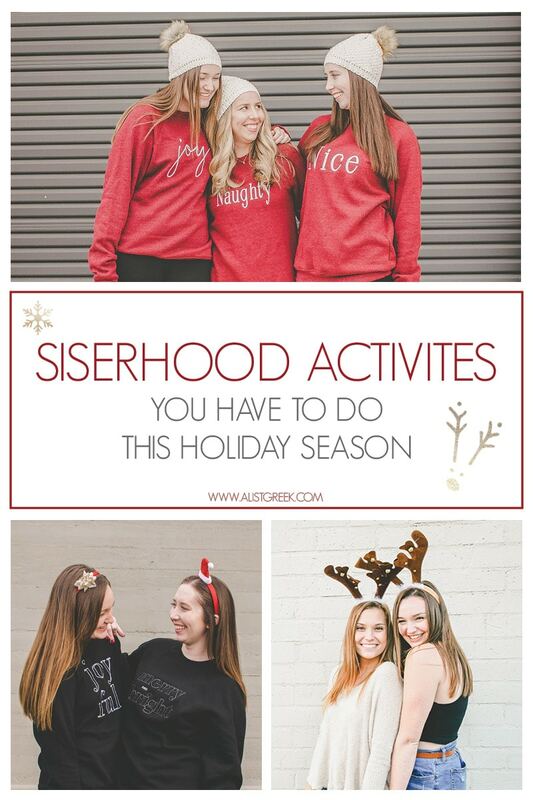 So this December, combine two of the best things in life, Sisters and the Holidays, and start checking off this list of Our Favorite Holiday Themed Sisterhoods! Make ornaments for the house Christmas tree. Nothing pulls Christmas decor together better than a fully decked out Christmas tree. What makes a Christmas tree even better? Having it decorated full of ornaments made from all the members in your sorority. As a sisterhood event, or even a part of meeting, have each member make an ornament that represents them. A tree that includes every member of the chapter will sure to be the most special and favorited decor in the house. Build gingerbread houses. Whether you make a full night of it, or you just have a couple of friends over, the holiday season wouldn’t be complete without decorating a gingerbread house! Split into teams and make it a competition for some added fun. 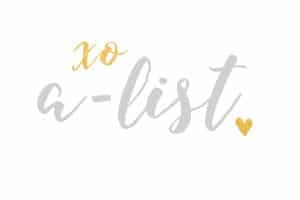 Organize a chapter-wide Secret Santa. Have each member fill out a couple questions about themselves( ie: fave color, favorite hobby, etc. ), set a budget so members aren’t breaking the bank and have everyone pick a sister out of a hat. We love this tradition because it gets sisters that might not hang out to get to know each other! For some gift ideas, we’ve made the perfect gift guides we know every sorority girl will love. Check them out here! Bundle up for a Christmas movie marathon. We all have our go-to holiday movie favorites, but check out A-List’s 7 Favorite Holiday Movies to Snuggle with Sisters, for some added suggestions. Decorate Christmas cookies. The only better part of decorating Christmas cookies is eating them immediately after! If you want an even better night, combine cookie decorating with the movie marathon. Host an Ugly Sweater Meeting. It’s a classic, who doesn’t love a good ol’ ugly sweater themed get together. Have each member wear their ugliest Christmas sweaters to the meeting before winter break, and give out prizes to the best, brightest and ugliest. Head to the ice skating rink for some slip and sliding fun! Another winter classic, you have to go ice skating! Invite another sorority or fraternity and turn it into a winter social or keep it just the chapter and bond. Prepare to laugh all night while trying to keep all you and your sisters from slipping and falling everywhere…or don’t because falling while ice skating is half the fun anyway. Make holiday cards. Have each member handcraft and decorate cute and personal Holiday cards to send to their friends, families or consider sending gathering them and sending all the cards to military families and veterans. Philanthropy can be festive! 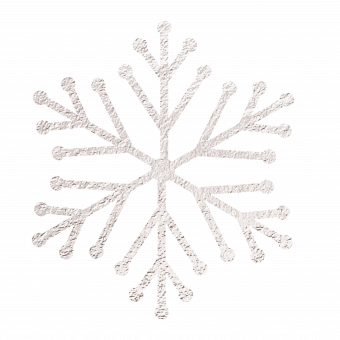 Put on your favorite ugly Christmas sweater, break out the decorations, and get your gingerbread decorating skills ready because before you know it, the semester will be over and you’ll be on your way home to spend winter break with your family. So make the most of the few short December weeks and make it a Holiday season to remember by Celebrating the Holidays with your Sisters! This entry was posted in Members Only: A blog for chics and Greeks alike. and tagged Christmas, Holiday, Sisterhood, Sisterhood Ideas.